Will Seb complain about Charles having an advantage over him by weighing only 85 pounds? That photo of them says it all! Ok, maybe Charles is holding his stomach in for the photo not to look over weight . C'mon, we don't need any more salt in the wound. That was'nt my intention. There are those that think Leclerc's role for 2019 is to beat Vettel. I'm sure he can but the powers that be won't let him; at least for 2019. Seb has to gain as many points possible for 2019 and Leclerc is just starting to realize that. This confirms what I have been saying about Leclerc for 2019. His year will come, just not 2019. If Charles is the driver who can gain the most points 2019, I realize how bad it will look for Seb esp. at his salary. WCC championship equals both drivers points. The team wins! Forget Lewis for now ,Seb needs to catch Max! I would love to see Charles do it. If Charles can challenge Seb on a regular basis the way he did in Aus, he won't be asked to hold position for long. Wow that would be a rooky year and a half for him at Ferrari. I think he could do it but I'm afraid he will end up supporting his team leader which could be to our detriment over the year. I bet Seb has a Teflon contract which gives him precedence over his team mate just like Michael and Fernando had. If Charles proves to be the quicker of the two I cannot see Seb deferring to him like Kimi did to Felipe in 2008. I would love to be wrong on that but multi 21 springs to mind. Except that he didn't challenge Seb at all. He was with Seb at the start but then found himself 10 seconds behind. Only later when Seb had early pit stop and his tyres were gone completely did Charles caught Seb. But I expect Charles to improve rapidly, he made mistakes in qualifying and race which he will work on and improve. But the biggest weakness for him is qualifying. When it comes to putting together all sectors when it matters, he fails most of the time as evident by the analysis done by Motorsport on 2018 season when Charles was at the bottom and Seb was number 1. Rest will come together eventually but he needs to focus on qualifying a bit more. Agreed, Charles ONLY way of challenging Seb and the Scuderia is through qualifying. Otherwise he will play second fiddle. During the race and thru the second part of the race, he did challenge. It does not matter as to why, or how, but he was about to overtake when he did receive orders to pretty much stand down. @jgonzalesm6, no, qualifying is not the only way. Fastest racers are not always the best qualifiers. There are those that go the long game (race) better than the qualify. But at any race, the thing is that it's my estimation that the pressure from Italy towards Ferrari will be way too great. They simply won't be able to just keep him behind each and every time (again) if this becomes sort of a motive. Which is a good thing. If Seb puts up pressure, that can only make Seb push further. You also have to figure out the salary issue. I have'nt heard a "$6 million USD" driver beating a "40 million USD" driver for the title in Ferrari. Ferrari F1 just won't let it happen. Make sense. Hence my point, Leclerc has to outqualify Seb to go "against the grain" or jump him at the start. Otherwise, Seb has to get the most points and "earn" his salary. Maybe you missed Massa beating Kimi then....they are going to pay that salary regardless who win's. I don't know. He certainly did not have the full backing of the team last year, and it showed in his performance. I wish no ill will on either of Ferrari's drivers, but if Vettel has a few DNFs and Leclerc is consistently finishing, it's anyone's guess what will happen. I highly doubt they will continue to back Vettel IF Leclerc has a 50 point lead over him going into summer break. 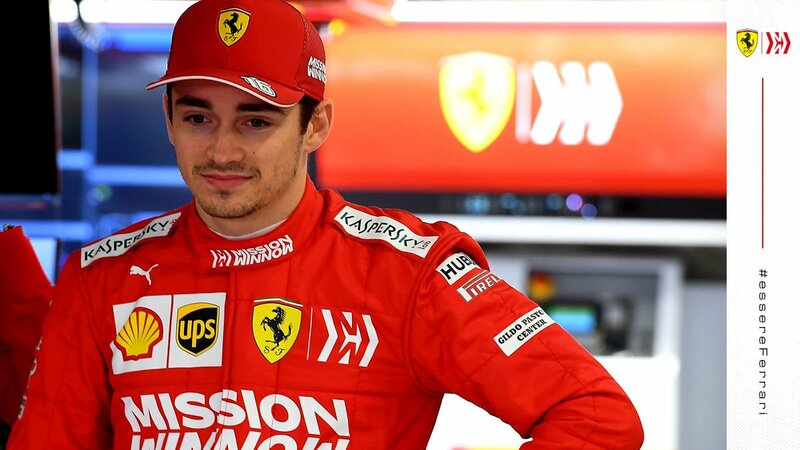 Maybe they will let Leclerc beat Vettel towards the end of the year IF they feel there is nothing to gain. Last edited by jgonzalesm6; 20th March 2019 at 20:22. Neither was Kimi? you said it's about salary but Ferrari let Massa beat the higher paid guy so its hardly ridiculous as it was YOU who said Ferrari won't let a lower pay driver win you never mentioned anything about 4x WDC at all so don't change it around cause you got called out on it....the quickest driver will win and it will have nothing to do with salary or who Ferrari let win unless you think they could sabotage Charles if he starts beating Seb? now that would be a ridiculous way of thinking. Kimi was on about 45 million or something, Massa 8 so it's a very valid comparison when YOU talk about salaries and why Ferrari would use that to stop Charles beating Seb. We'll see who wins at the end of the season. My prediction remains. It's WDC wins and salary......I was talking about Seb and Leclerc. Like I said, the comparison between Seb and Massa is ridiculous. Ferrari will put their cards on Seb and not let a team mate battle ensue. You are losing track of your own point, YOU said Ferrari will not let lower paid driver win, Ferrari let lower paid driver win when Massa beat Kimi....I am not comparing Seb and Massa. Ferrari also put their cards on Kimi, didn't quite work out like that though. My bad. I forgot to mention Sebs 4x titles along with his salary. I wonder why then Ferrari signed him??? Last race of the season, Charles can win the title but Ferrari will put a stop to that because a)Seb earns more than him and b)Seb has 4 titles at Red Bull. I never said Leclerc will win the title. Seb will beat Leclerc in points but once the title is out of reach, they will let Leclerc beat Seb in races. Jeezus!! Your something else putting words in my mouth. Rubinization! Charles needs to become a Max. Seb @ R Bull =s 0 for us Ferrari fans. 2019 is where it's at! A honda PU beats Ferrari ??? Yes, challenging a 3 tyre car with a 4 tyre car is sure a challenge. Why not challenge when both cars have 4 tyres? Before season started, a lot of people on this forum were saying Charles will beat Seb, now they are saying Ferrari won't allow him to beat Seb. We don't know what temps Leclerc was in but Seb was definitely "handicapped". Better to play it safe in this one race(Melbourne) and bring both cars home for POINTS. Can you imagine the "cruxification" on this forum and Italian media if Ferrari went for that 1 extra point and messed up the pit stop and threw away POINTS. Yes, I get it. That's 21 points over the season for the fastest lap but this is one race where we had issues. Once we get ourselves figured out then I can us shooting for the fastest laps in other GP's.